Northern Light Blue is the result of crossing a Delicious Seeds’ special Northern Light mother with an original clone of DJ Short’s authentic Blueberry. It gives them a strain with exceptional qualities, fine-tuning two of the world’s most famous indicas. It has very dense foliage and compact growth. But don’t be fooled as this is a plant that can reach a considerable size indoors and outdoors and grow taller than plants with more sativa in their genes. Well suited to any type of grow method or system, it’s resistant to pruning and thrives in SCROG or SOG systems. It produces thick secondary branches that are strong enough to support its large flowers. 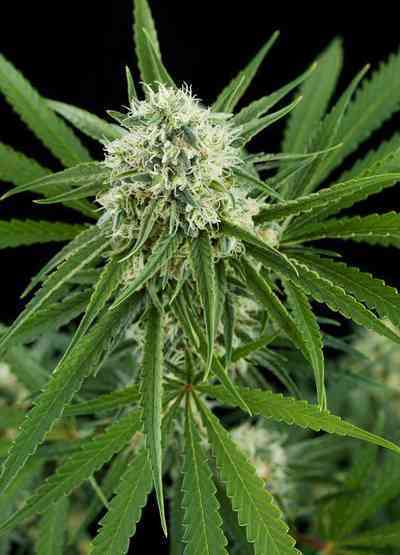 The buds give off a very intense and pleasant aroma. The fragrance is sweet and slightly acidic like strawberry or forest fruits. The taste is also intense and slightly bittersweet like cherry or even grapes but with hints of incense and pine. A complex taste that reveals new layers with each toke. Needless to say, the taste is enhanced when vapourised. The effect is markedly relaxing though not at all narcotic, making it ideal for undertaking all kinds of mental or physical activity. It might be said that this is a strain without side effects.